The speed at which a webpage loads has a hugely significant impact on the user experience, studies suggest that users will click away after a few seconds of waiting for a page to load. This is bad for everyone involved, including Google who sent the user there. Consequently, Google weights page speed as a very strong organic ranking factor. Raptor addresses this with a comprehensive page speed analysis tool. The tool currently performs all of the below functions in a process driven interactive environment. We track all of the webpages on your site, regularly. This allows us to get a much better idea of how your site performs and when it is at its slowest. We check for both category failures and performance failures on every page (where relevant to do so). This gives you a complete breakdown of every page component, request and file that is needed to fully load a page. We intelligently group your site based on its various structures to provide aggregated data, we also have functionality to allow you to easily label your sites pages. Both of these features provide a hierarchy of data that allows you to see everything from the top to the lowest level. We also track your competitors and use their data to benchmark against yours, helping to create strategic goals and insights to advance your organic performance. As with all of our tools, we designed them to support you end-to-end and as such we provide recommendations based on the analysis our algorithms perform. We pride ourselves on delivering quality actionable insights, and our page speed tool is no exception! Use or customise Raptor’s reporting templates to quickly and easily produce high quality presentations or granular instructions for a web developer. 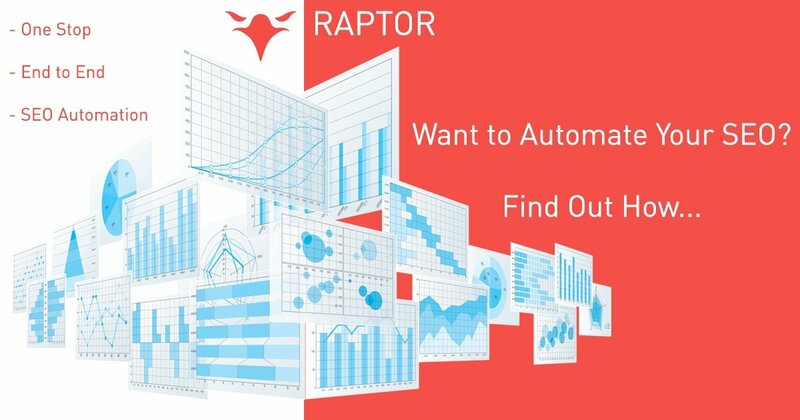 Whether its auditing, analysis or monthly reports, Raptor can help! If we detect that the site has suddenly or gradually slowed down significantly we can send you notifications. We also provide this for a range of other issues. See beautifully presented and easily exportable waterfall charts revealing every detail of your sites components broken down across a timeline. Our page speed analysis tool is designed to provide you with all the data & recommendations you need to optimise the speed of your website. These recommendations come from an SEO perspective and as such can integrate with other data sources for deeper analysis. Raptor’s SEO software will be released for Beta later this year, this SEO tool has a huge range of features specific to page speed analysis and SEO. This module is part of Raptor's SEO Tools suite, which you can read more about, by clicking the link.